Champs combines safety and sophistication with state-of-the-art performance to ensure that you enjoy a fuss-free shower every time. With a chromium finish silhouetted by clean and sleek lines that promise ease of use, Champs Lagoon Instant Water Heater presents an amazing fusion of style and capability. Get the full control over the heat and flow of your shower. IPX5 Splash Proof and Anti-Scald safety device. 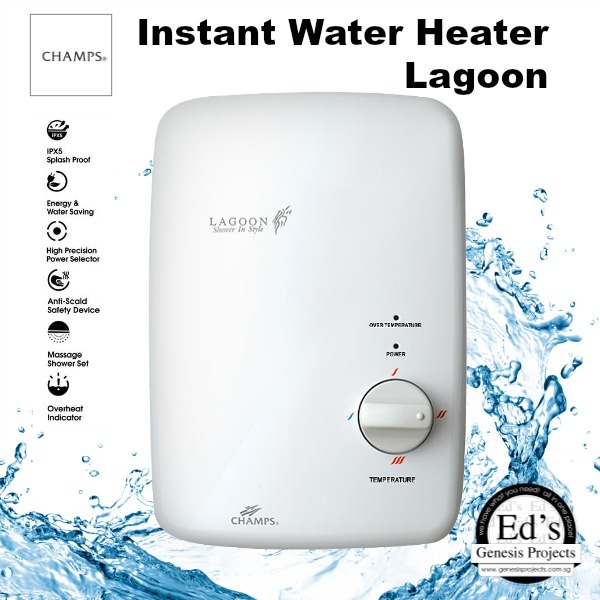 The Champs Lagoon Instant Water Heater is Energy and Water saving.